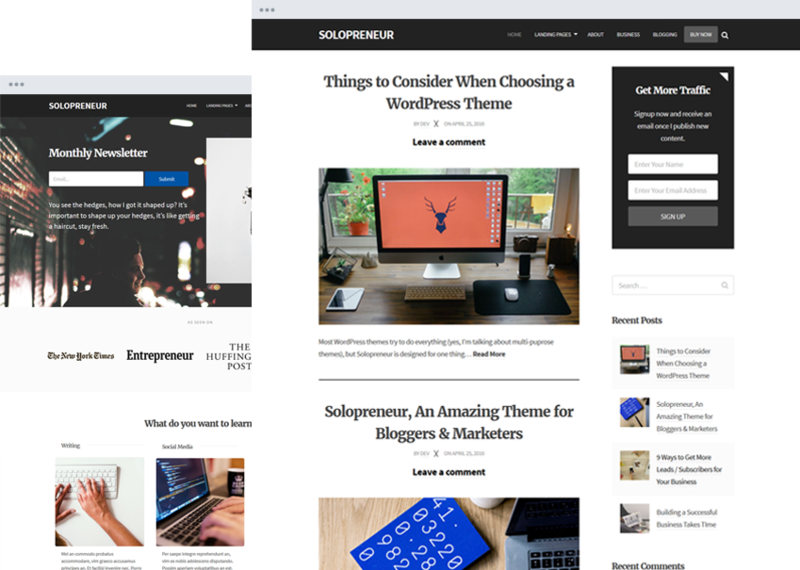 Solopreneur is a responsive blogging theme with the two high-converting landing pages that highlight your latest products or help build a loyal readership. Compatible Plugins: Optin Forms, Jetpack, Contact Form 7, Yoast SEO, W3 Total Cache, and more. Two custom landing page templates for showcasing your content or promoting your products, projects, or services. Establish your unique brand with custom designed logos, favicons, and even social media icons. This lightweight theme will maximize user experience and encourage site visitors to return again and again. Guaranteed compatibility with all major browsers so you know your site will render as intended every single time. Your website will look crisp and clean on any device, no matter the shape or size. 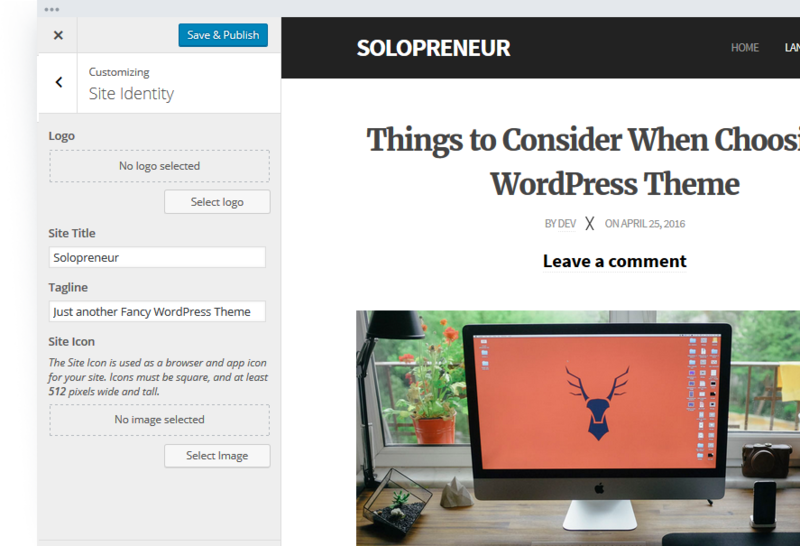 Drag & drop the information you want you readers to see: a search bar, recent posts, a commenting section, and more. SEO best practices are built in so you can rank higher and boost your site’s traffic. Translate your theme into any language using .po and .mo translation files to extend your global reach. Steady and reliable improvements are sent directly to you and your theme will always be up-to-date with the latest version of WordPress. Top notch support on hand to help you with building your perfect website. A candid theme with a strong focus on attracting, converting, and retaining a loyal following. Target every last personand increase conversions, even at the very end. There is always an opportunity to target more visitors with Solopreneur’s custom landing pages, and at no extra cost to you. FancyThemes’ own optin form can help you elevate your marketing efforts to build a bigger & better email list.